In the days before the start of school, ISTP faculty and staff were hard at work preparing the campus and their classrooms for the new year. 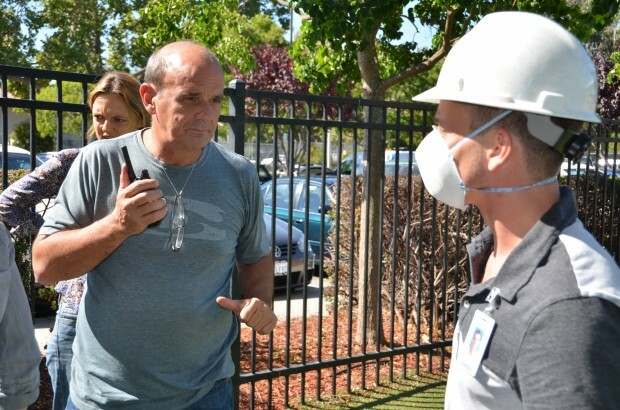 This year, as part of these preparations, our staff brushed up on their emergency preparedness training. 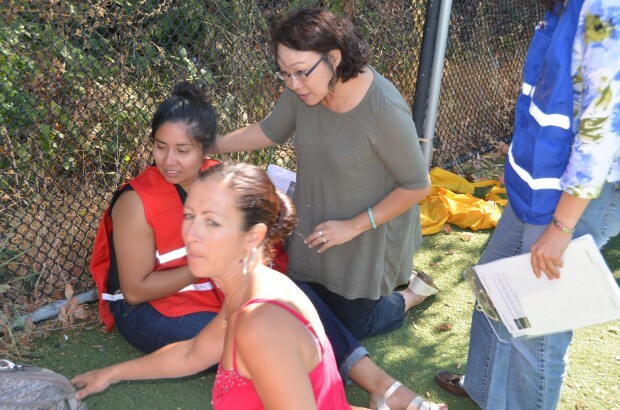 On Tuesday, August 27, all ISTP faculty and staff participated in a realistic disaster simulation on Cohn Campus, to learn how to best ensure students’ safety in the event of an emergency situation at school. Over the summer, Lower Elementary School Principal Donna Wood worked with community liaisons from Palo Alto’s Emergency Services Department to plan the disaster simulation. The community liaison team included Kenneth Dueker, Palo Alto’s Director of Emergency Services, Nathan Rainey, Emergency Services Coordinator, Simon Williams, Administrative Associate, and Agent Dujuan Green, School Resource Officer for the Palo Alto Police Department. Donna and the Emergency Services team decided to run a drill simulating a large-scale earthquake, due to the likelihood of this type of disaster in our area. During the drill, faculty and staff were instructed to behave as if they were in a real emergency. The goal of the exercise was to test how the emergency procedures ISTP already had in place functioned in a close to real world situation. The simulation was designed to help the administration determine what the school is doing well and how we can improve our emergency preparedness procedures. For the drill, each member of the faculty and staff was assigned to a team with a specific role, including incident command, first aid, triage, security, student supervision, and student/parent reunification teams. Cowper Campus staff also participated in the simulation, playing the roles of parents, students, victims of the disaster or observers/evaluators. The Cowper staff did an excellent job of role-playing, allowing Cohn staff to practice responding to realistic disaster scenarios. After the comprehensive drill concluded, faculty and staff gathered to debrief and reflect on the experience. Donna Wood concluded that the simulation “was a great exercise for us as a school, and an amazing learning experience. This drill helped us to know what to move into next” in terms of ISTP’s emergency preparations. 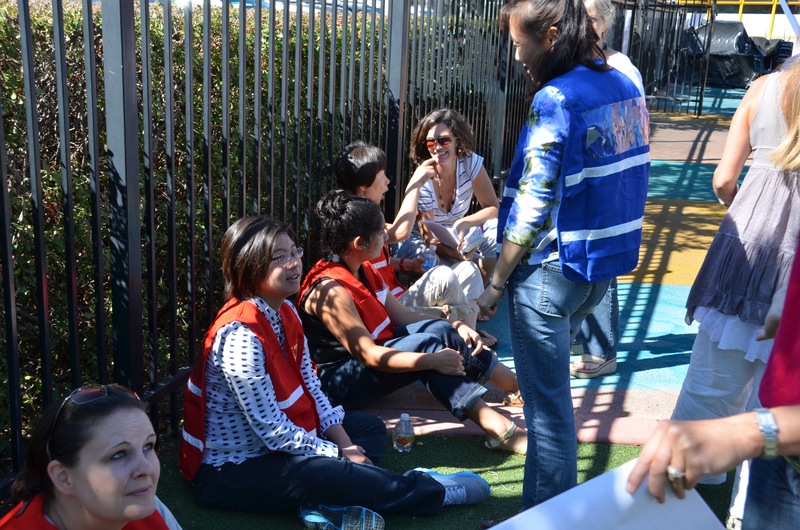 But the drill also underscored that ISTP is already a very prepared school, and gave staff member valuable practice, which will give them greater confidence and skill in the event of a real disaster. Donna noted that a similar simulation might be held on Cowper Campus in the future. Ken Dueker, Palo Alto’s Director of Emergency Services, commented that “the leadership was spot-on” during the drill. The incident command team, which oversaw all other teams during the drill, always kept the most important consideration in mind – how to best protect the lives of our students, faculty, and staff. Ken emphasized that disaster preparedness at school is closely tied to family preparedness. He encourages every family to have a disaster plan in place so they can more easily reunite after an emergency, and to have their own disaster supplies on hand. For more information about family disaster preparedness, Ken recommends you visit the City of Palo Alto website.